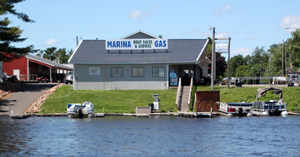 We offer boat and pontoon storage, and we make it real simple. In the Fall, you can drive your vessel to our dock. We'll pull it out of the water, winterize it and tuck it away into storage. 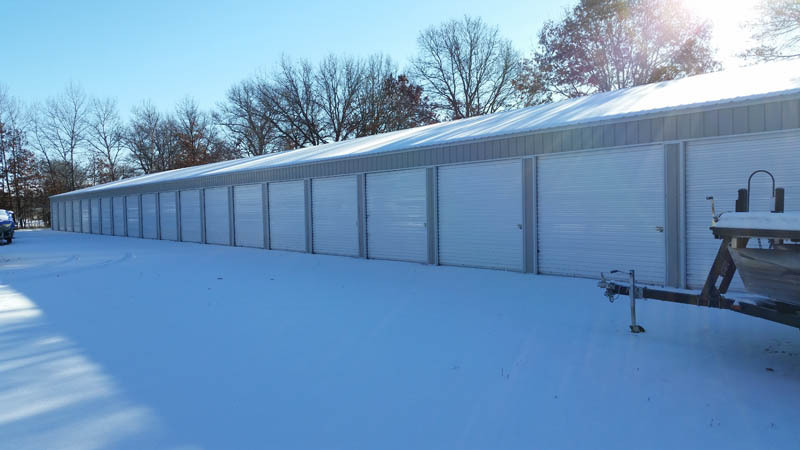 At that time, you will be billed out for the first half of your storage fee and 100% of the winterization. In the Spring, you will be billed out for the 2nd half of your storage. When you're ready to pick it up, it's simple. Call us 7-10 days prior to when you want to pick up your boat at our dock. We'll pull it from storage, check the battery and lights and have it at our dock for you to pick up. If you don't have time to bring your vessel to us, we offer a pick up/delivery service for an additional fee. Before your boat arrives at the marina, please remove and store whatever you can. Why? It’s bad to have all the “stuff” onboard your boat subjected to the elements during the off-season. It also can contribute to the gathering of dirt and moisture in your vessel’s storage areas. Get those lifejackets, dock lines, fire extinguishers, flares, fenders, ski ropes and the rest of your gear out of the boat and store them indoors over the winter. To protect against damage and theft, remove any GPS/chart plotters, radar displays, VHF radios and other electronics that are bracket-mounted. Wrap the loose cable ends/connectors in electrical tape. We also recommend that you put dryer sheets in your boat to help deter mice.